Ottawa is full of innovative designs and beautiful interiors—how does your business’s office stack up? You spend 40+ hours a week there, so shouldn’t it be the type of environment that promotes comfort and encourages creative thinking? If you haven’t put much thought into your office’s interior design and layout, you and your employees may be missing out on the opportunity to streamline daily operations and be proud of the place you work every day. Alliance Interiors wants to help you realize your office’s full potential. We specialize in creative solutions through design, ensuring that our clients’ offices look great but also meet the specific needs of the business. For example, if your business is looking for a more collaborative environment, we can help you implement an open office layout, but if your employees need more individual workspace, we can help you rethink your office to minimize distractions and better allow your employees to focus. We know that every client is different, and we’ll listen closely to your specific goals when remodeling your office. If you ever tried to work at a messy desk in high school, college, or even now as a business professional, you’ve probably noticed that you have a harder time concentrating and doing your best work than you would in an organized, well laid-out space. Like it or not, our physical environments have a huge influence on us, and you need to put some thought into the spaces where you and your employees are spending the most time. While a chaotic environment can detract from our work, a well-designed environment can improve our performance. Here are just a few of the benefits you may discover when you work with Alliance Interiors. Successful communication between team members. If your business requires co-workers to collaborate, you need workstations that allow for team communication as well as workspaces that minimize distractions for those working on their own. Alliance Interiors can help you rethink your space and implement a layout that will allow for more effective collaboration. Impressed clients and job candidates. Do you ever invite potential customers, clients, or job candidates into your office? If so, you should make sure that your office gives a good first impression of your business. 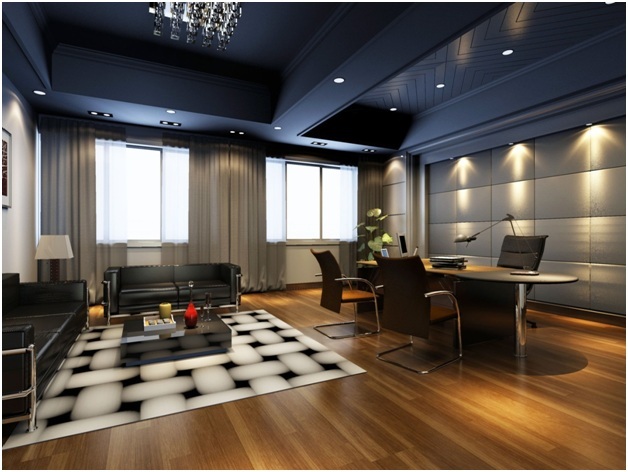 Let Alliance Interiors remodel your office to better match your brand and convey success. Higher employee morale. Coming to work shouldn’t feel like a chore. Alliance Interiors can help you make your office a more welcoming environment, whether that means adding a new break room, changing the color, or making the most of natural light. When your employees enjoy their work environment, you’ll experience less absenteeism and turnover. Increased comfort and wellness. Working in an office doesn’t seem like it should be hazardous, but sitting in uncomfortable chairs and engaging in repetitive activities like typing can lead to injuries. Alliance Interiors can help procure new ergonomic furniture and implement design solutions to increase your employees’ comfort and overall wellness. Office Interior Design. We’ll help you make the changes you need to your physical workspace, all while staying within your budget. Home Office Design. Working from home is a careful balancing act: you need to have your professional space, but you’re also incredibly close to your personal space, making it easier to get off track. Alliance Interiors works with solo entrepreneurs, freelancers, and anyone else who needs a home office to design and set up a space that minimizes those in-home distractions. Corporate Office Relocation. Sometimes moving your business is a necessity, but don’t let it feel like a “necessary evil.” Whether you’re heading across Ottawa or just up one floor, Alliance Interiors can coordinate the relocation to reduce the hassle on your end. Office Project Management. Your design project shouldn’t place undue stress on you or force you away from your normal work responsibilities. Let Alliance Interiors plan and manage the project from the beginning so you don’t have to worry about it. We’ll meet with you initially to talk about your budget, time line, and goals for the problem, and then we’ll use our interior design experience to bring your ideas to fruition. Space Planning. Do your employees need some more elbow room? Has your office layout gotten more chaotic as your business has expanded? Alliance Interiors has an eye for space planning and can help you determine how best to reorganize your space in order to improve communication and allow for smoother day-to-day operations. Office Furniture Procurement. Maybe you’re not ready for a full remodel, but you do know that you want to update your old, uncomfortable furniture. Alliance Interiors can help with that, too. We work closely with top Canadian furniture vendors and can both recommend and procure furniture that will look and feel great in your office. We love hearing from local Ontario business owners, and we look forward to seeing what we can do for you and your Ottawa office.